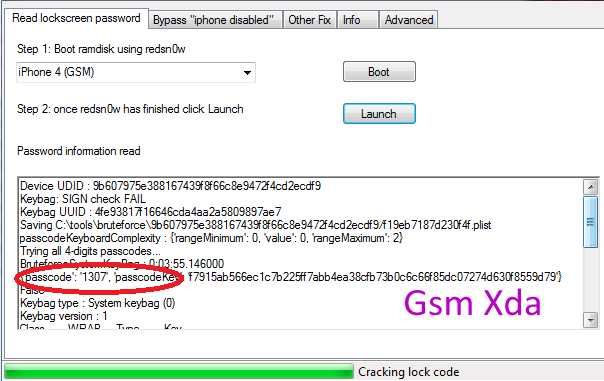 Gecko iPhone Toolkit really great software for iPhone passcode remove without any restore and also put here which ios support this tools and also put content with iPhone model support this tools kit it is very simple if you better understand this tutorial so let now go how to remove password see below tutorial. 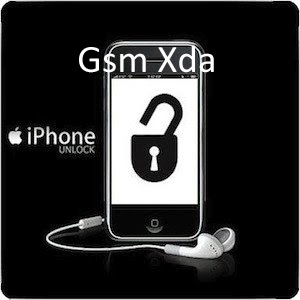 Select your iPhone Device, i use iPhone 4 as an example. Now click on "Boot" button. And now open new windows popup and asking you choose a firmware. 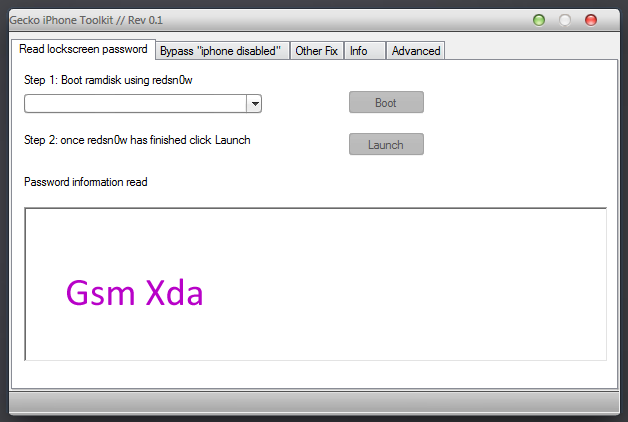 Those process will with redsn0w, when it finished, click on "Launch" button. After wait a few minutes for read your passcode. After finished this job it show you in the box right under it. 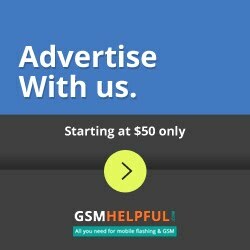 Procedure of bypass " iPhone disabled "
How to undo the "iPhone disable"
click on "Bypass" button and put your device into DFU mode.